Save on individual bottles of Silver Shield Liquid, OR Save 10% on both liquid and our new gels AND get a free point-of-purchase display! Silver Shield with Aqua Sol Technology features pure silver particles suspended in pure water for extra immune-system support. A patented manufacturing process results in fine nano-size silver particles. 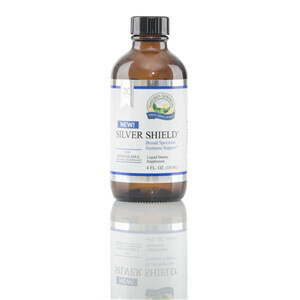 At 20 parts per million, new Silver Shield offers a broader range and is a brilliant choice for immune health support. Available in both 6 and 16 fl. oz. 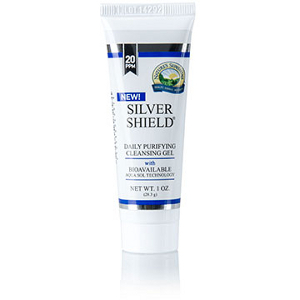 Silver Shield is also available at 18 ppm in a 4 fl. oz. glass bottle. • Save up to 15% on 16 fl. oz. Silver Shield®. • Save up to 18% on 6 fl. oz. Silver Shield®. • And, save up to 25% on 4 fl. oz. (18 ppm) Silver Shield®. Retailers! Sell more Silver Shield product and help more people with this fantastic point-of-purchase display set! Available for a limited time and at a special discount,* you get everything you need to sell more Silver Shield! We'll send you all of the product you need to fill a gorgeous deluxe retail display, plus a terrific assortment of colorful, informative marketing pieces for 10% off the cost of the product! That's right! Save 10% on all of the product AND get a FREE point-of-purchase display, including shelf talkers, posters, info cards and more for FREE, January 12-26 only. *Display set will be available on an ongoing basis, but the 10% discount on products is January 12-26 only!